Why gestational length is important during medical abortion? When you confirm your pregnancy and take the decision of pregnancy termination, the length of your gestation becomes a crucial factor in deciding the method of abortion. Got a medical addition, you may come across some of the global abortion medication provider and online pharmacies. However, gestational length is a barrier to entry for the medical termination of pregnancy. To ensure that when you buy abortion pills online to end the pregnancy, the efficacy of medication is not questioned. Because this largely depends on the length of your pregnancy gestation. The first question that arises here is the meaning of gestation in the medical abortion process. Gestation is the length of pregnancy. It tells you how many weeks you’re into your pregnancy. How to calculate your pregnancy gestational length? 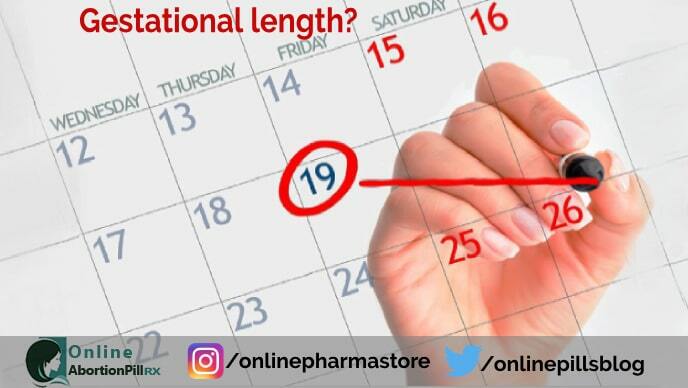 To calculate the gestational length, you must know your last menstrual period. There are many ways through which you can calculate the development of your pregnancy, however, calculating your gestation on the basis of menstruation date is basic of them all. Once you know the menstrual period date, you can count the gestation from the first date of your last date. Why is gestational length important? To successfully end an unwanted pregnancy using abortion pills from online, the gestation period plays an important role. Pregnancy up to the gestation length of 9 weeks or 63 days can only be called eligible for a medical abortion. If the gestation is more than 9 weeks, Mifepristone and Misoprostol may not be sufficient enough to terminate it with their functioning. 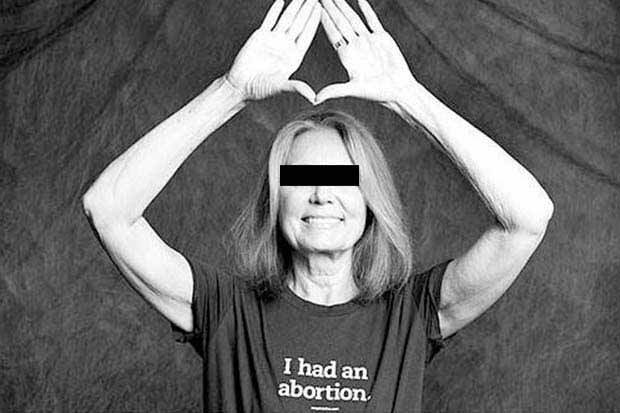 Depends see what happens when you consume 1 pill of Mifepristone and 4 pills of Misoprostol to end the pregnancy. The antiprogesterone elements in the Mifepristone pill and prostaglandin elements of the Misoprostol pill make hormonal changes in the body. They stop the development of the fetus and remove it by making contractions in the uterine lining. This eventually removes the fetal contents through the vaginal bleeding which continues for around a week. If you monitored the bleeding pattern, you may find blood clots. At times, the size of the blood clots may be as large as a lemon. This largely depends on the gestational length. The whole process may take around a week or more to complete it. During the process, you may experience some side effects such as diarrhea, vomiting, headache, fever etc. 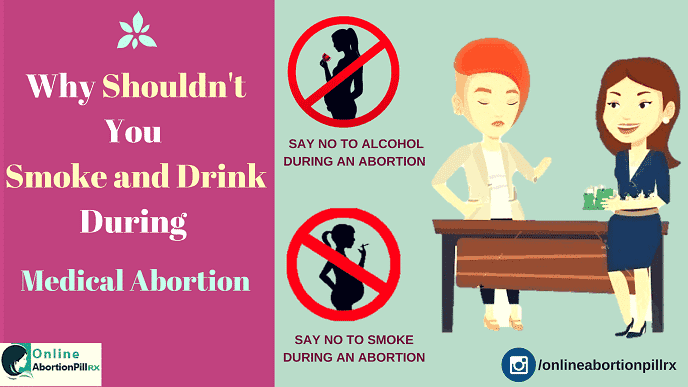 You do not have to take additional medication to treat the side effects of medical abortion. Instead, you must ensure that your diet is light and healthy which will be easily digestible. The pregnancy termination can be confirmed after 10-15 days. 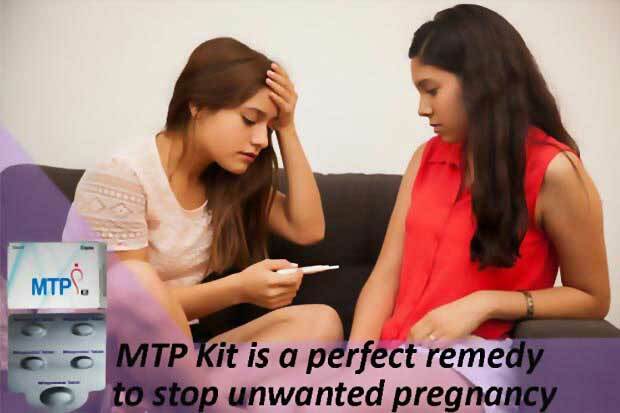 Most online pharmacies have women healthcare experts to guide at each step of medical pregnancy termination. You must ensure that you follow all the instructions. Especially the gestational length limitation has to be followed for a smooth process of pregnancy termination.